Kant argues that India's current economic situation would have been substantially different had it moved towards freer markets around the time the East Asian economies were beginning to find merits in such an approach. 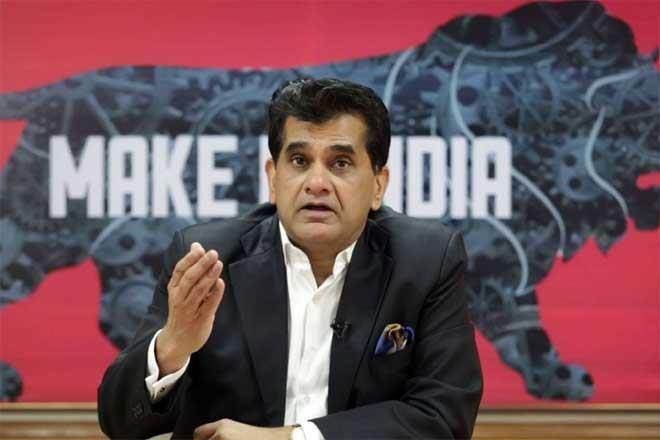 Threat to employment due to technological advancement must be adequately addressed in time, else it can have disastrous repercussions on the country’s future generations, warns NITI Aayog CEO Amitabh Kant. He says that more than half the Indian population lies below 25 years of age and each year an increasing proportion of young adults will be added to the workforce. “By estimates of the labour ministry, this would amount to an increment of over 10 million people each year. As per the UN data on world population, the working age population – that is, those between the ages of 15 and 64 – will continue to expand until 2050,” he says. “In case this burgeoning section of the population is not provided with adequate employment opportunities, India would fail to cash in on a rare opportunity of a demographic dividend,” he warns. According to Kant, if the threat to employment is not immediately addressed, it can have serious repercussions on India’s future generations. “This has a lot to do with India’s nascent demography,” he writes in the epilogue of a book “The Age of Awakening: The story of the Indian Economy since Independence” by Amit Kapoor with Chirag Yadav. The book tells India’s economic story since the country gained independence. It unfolds a tale of titanic figures, colossal failures, triumphant breakthroughs and great moral shortcomings. According to Kant, the conjunction of the prospect of loss in employment due to automation and a young demography looking for jobs might be the biggest challenge that India faces today. “A recent UN report claimed that if industrial robots increasingly undertake manufacturing, developing countries could lose about two-thirds of all jobs. It is imperative that the country makes a break from the past and address the issue before it festers into a crisis of unimaginable proportions,” he writes in the book, published by Penguin Random House India. Kant argues that India’s current economic situation would have been substantially different had it moved towards freer markets around the time the East Asian economies were beginning to find merits in such an approach.”But the country failed to keep up with the times until crisis struck,” he says. Noted economist Bibek Debroy has written the foreword to the book.”Economists and economic policies fashioned by statesmen and politicians, in consultation with economists, don’t lead anywhere. They do lead somewhere, but not necessarily where one wanted to go,” he says.